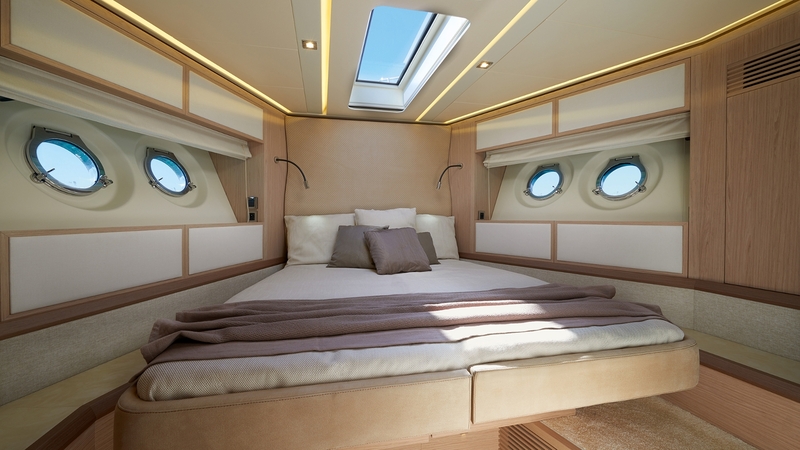 The Triumph of Elegance Over Excess. 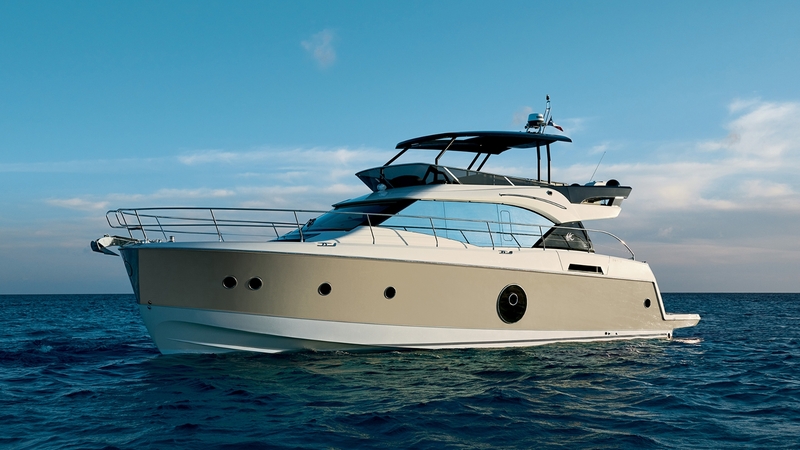 Our search for yachting excellence has led us here -- the Monte Carlo range. Inspired by Monte Carlo Yachts, these motor yachts have been immersed in timeless elegance, no-compromise craftsmanship, top-drawer finishes and a hull designed to handle any kind of sea. 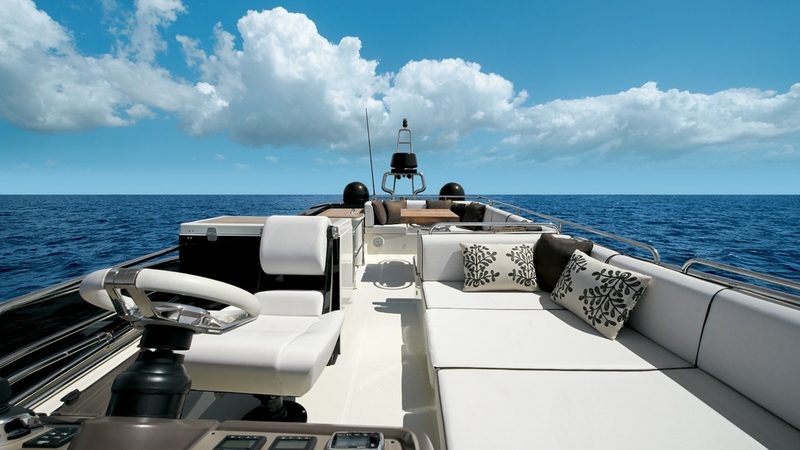 Is it any wonder Monte Carlo stands apart as a hallmark of style, power and luxury. 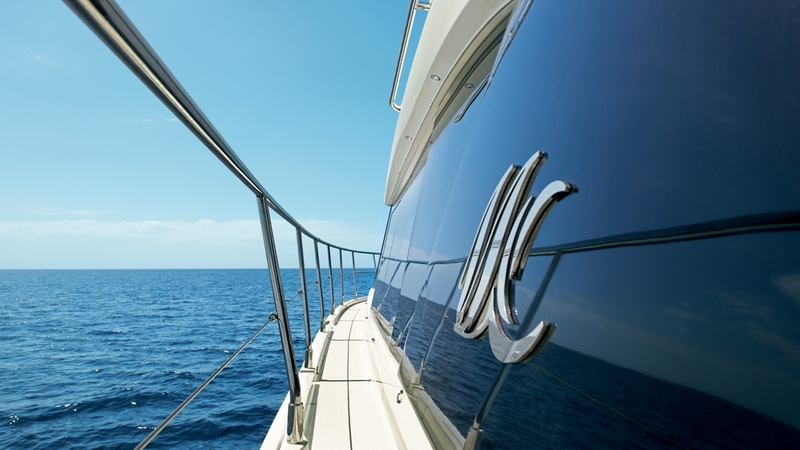 All the Qualities of a Megayacht. 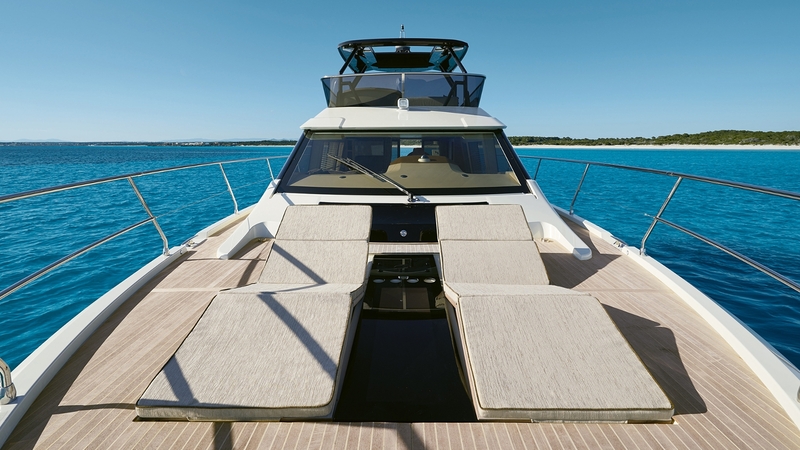 Introduced in 2013, the Monte Carlo 6 is a shining example of yachting royalty and has won just about every major boating award as well as the hearts and minds of the world’s most demanding boaters. 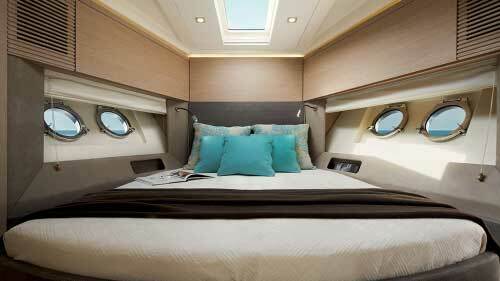 She has all the megayacht qualities we dream about without the megayacht drawbacks. 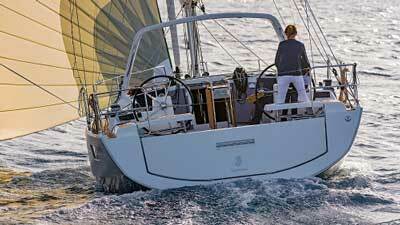 Her attractively flared hull frames classically elegant round portholes and is immediately recognizable on the water or at anchor. 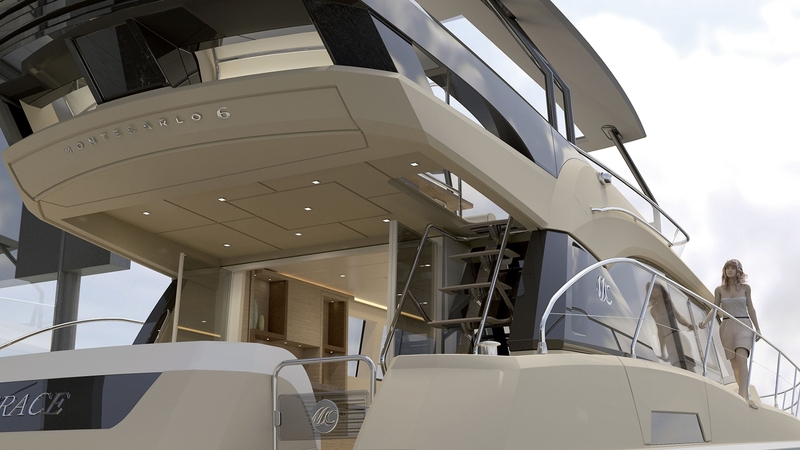 A magnificent flybridge with more than enough seating is your own rooftop terrace. 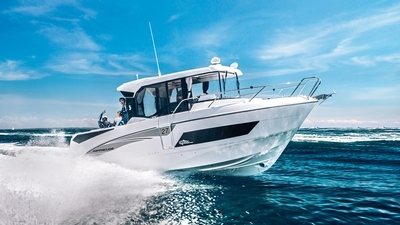 Equipped with two Cummins 600 HP engines, she reaches a top speed of 28 knots and has plenty of torque for dynamic acceleration. 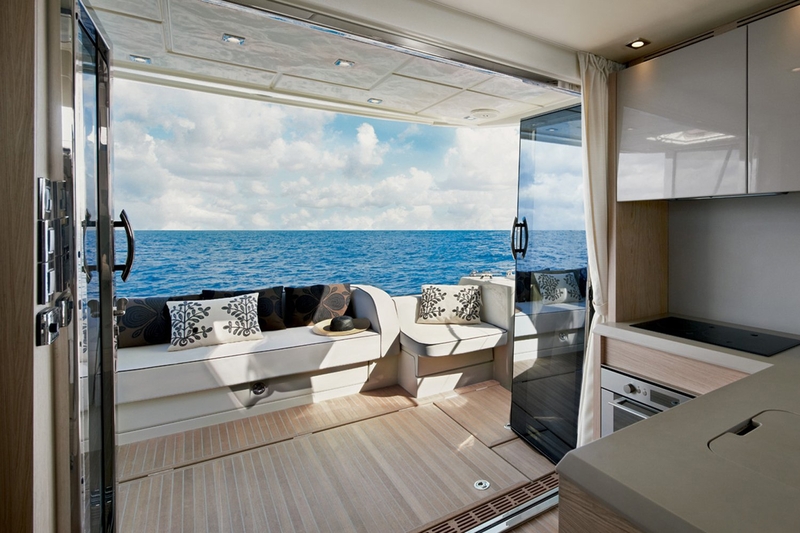 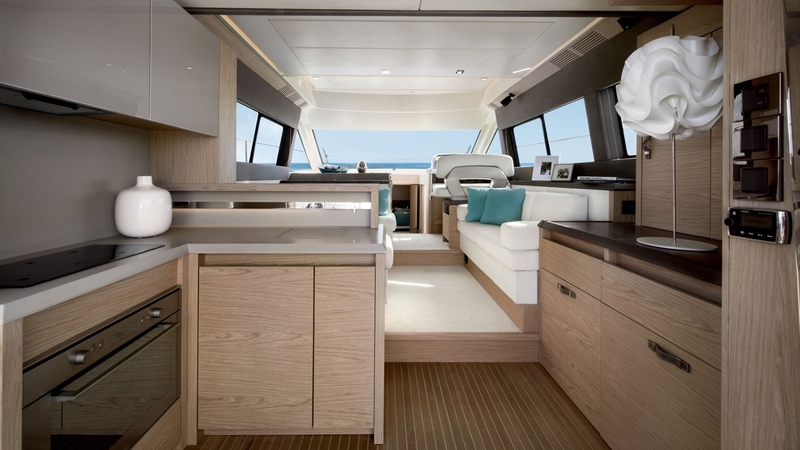 The living spaces aboard the Monte Carlo 6 achieve new levels of luxury, quality and finish. 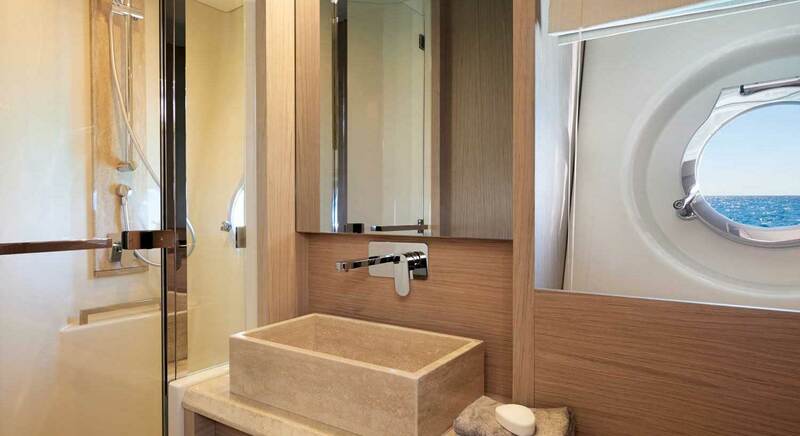 Only the finest materials are used to create an atmosphere of perfect harmony at sea. 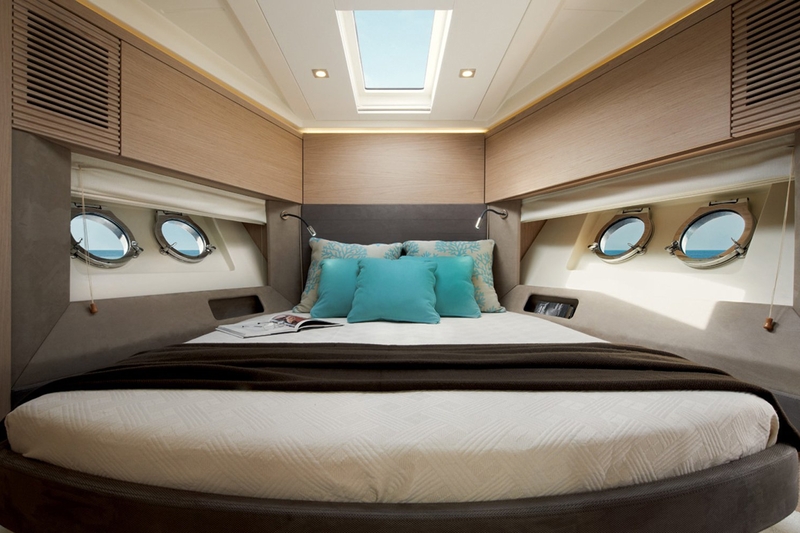 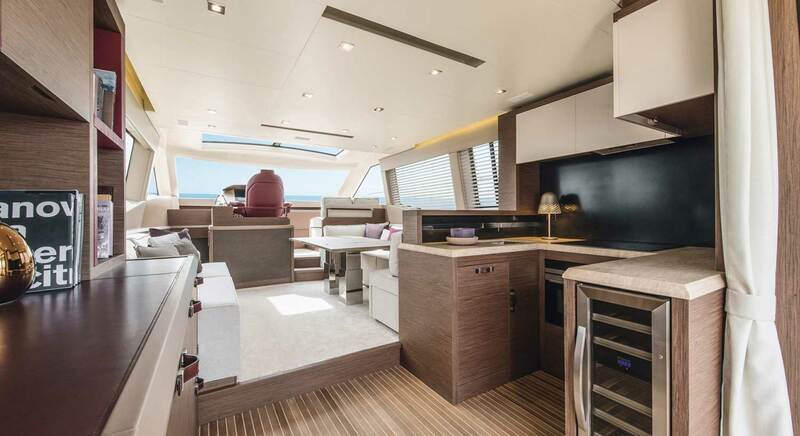 Her huge lounge connects seamlessly with a fully-equipped galley and central helm station. 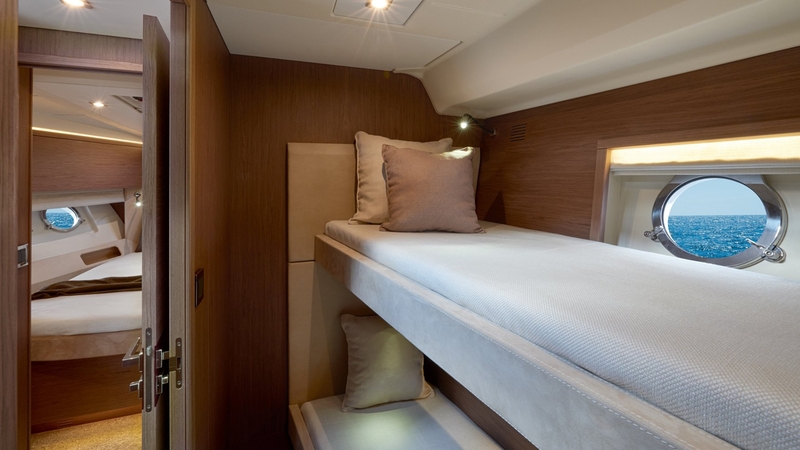 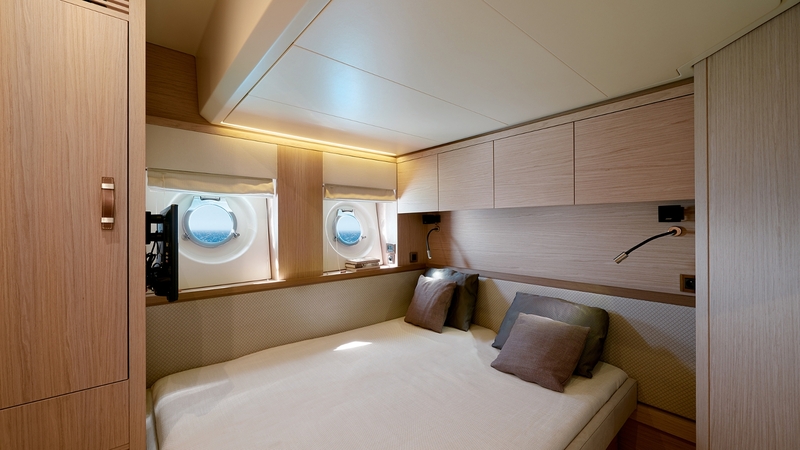 Below are three spacious cabins each with their own heads including a full-beam master suite. 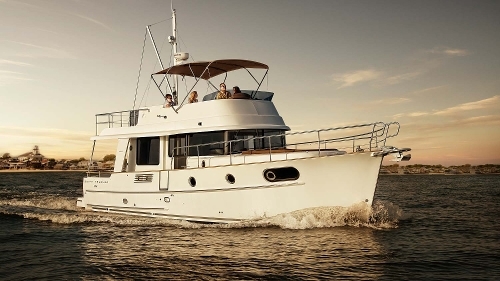 There are also many options to make the Monte Carlo 6 your own style, ranging from wood trims and hull colors to galley work surfaces and head fixtures. 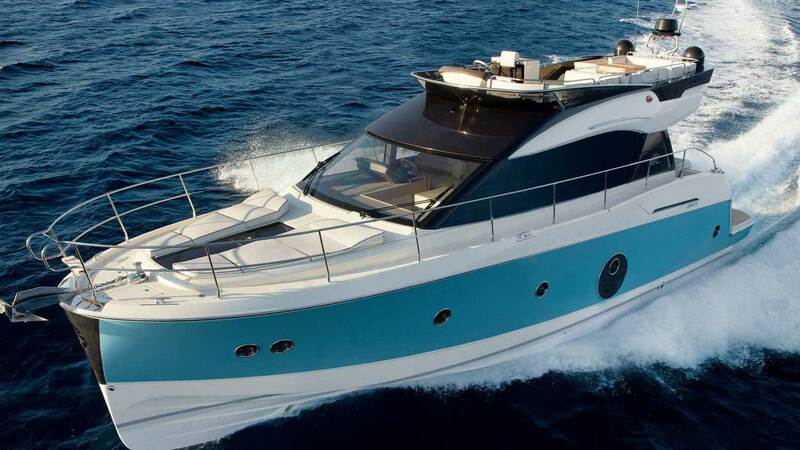 Length overall 18,35 m / 60'2"
Hull length 15,97 m / 52'5"
Air draft Without T-Top 6,40 m/21' With T-Top 7,43m / 24'5"
Draft 1,17 m / 3'10"
A Beauty with Beautiful Performance. 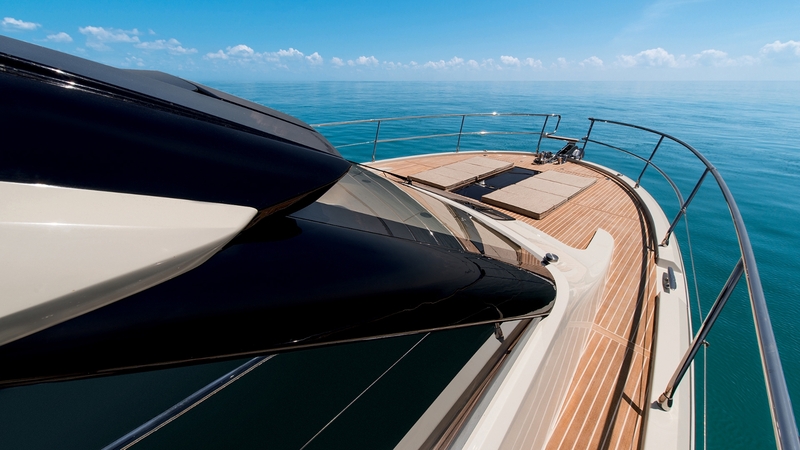 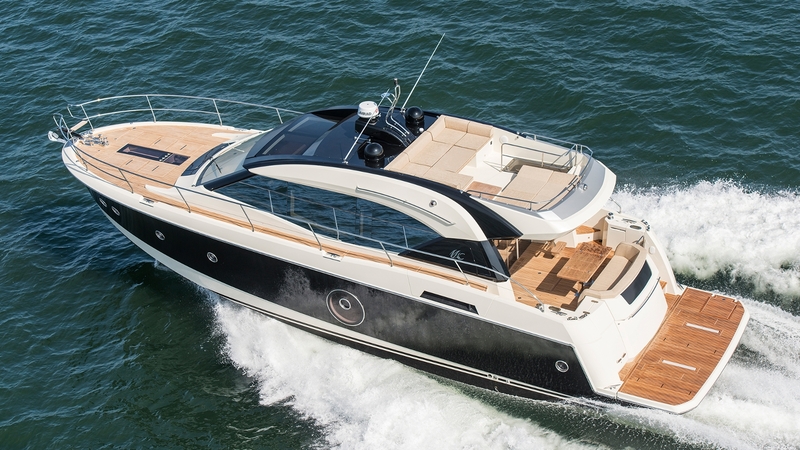 With her sleek hardtop, the Monte Carlo 6S is one of the most stunning yachts plying the waves today. 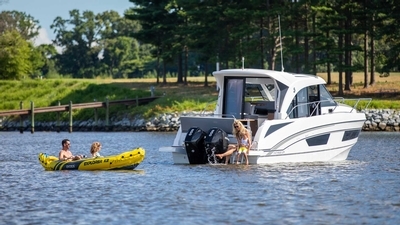 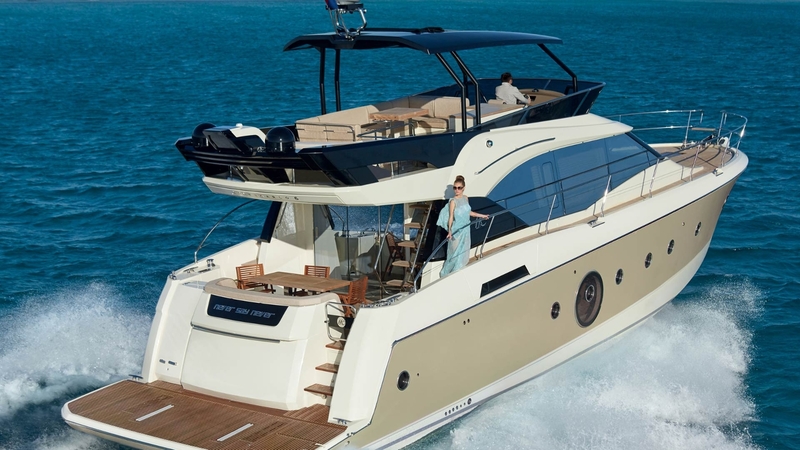 The hardtop is seamlessly integrated into her slender silhouette and features a fully electric sunroof to make her spacious lounge seem even more open and roomy. 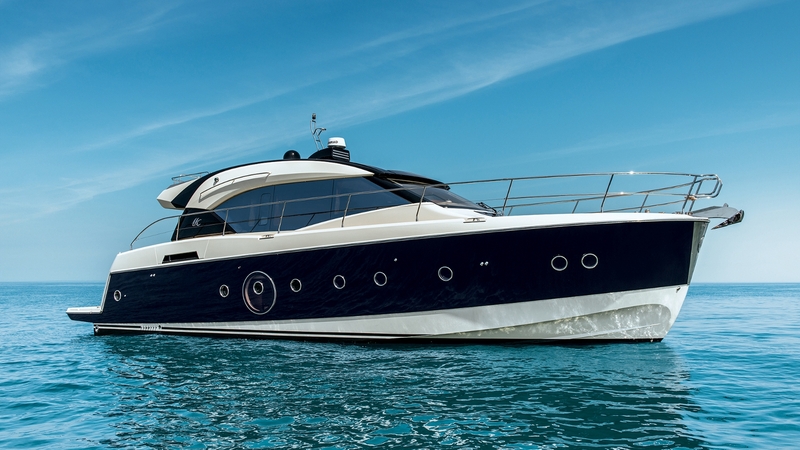 There is plenty of performance to match her beauty too. 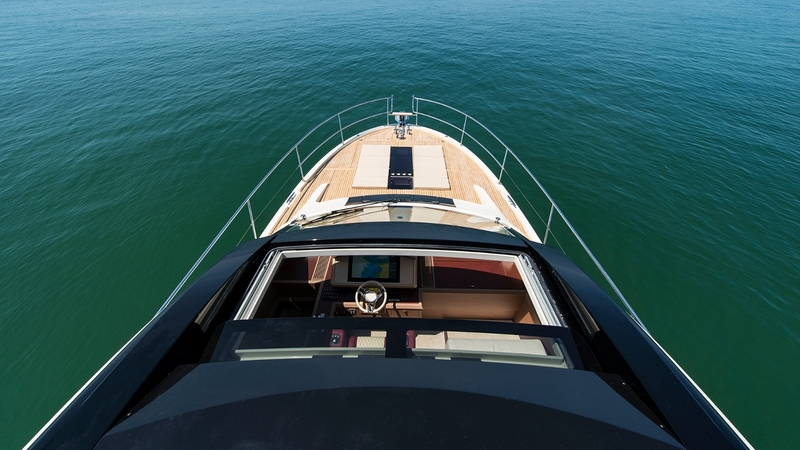 A Zeus pod system can deliver speeds up to 28 knots with 30 percent fuel savings from a standard shaftline. 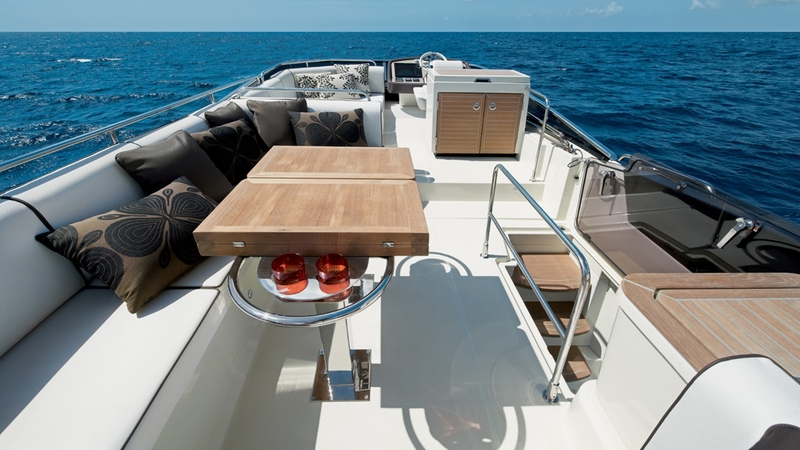 Aft of the sunroof is another of her standout features – a terrace lounge that cantilevers out over her huge cockpit below. 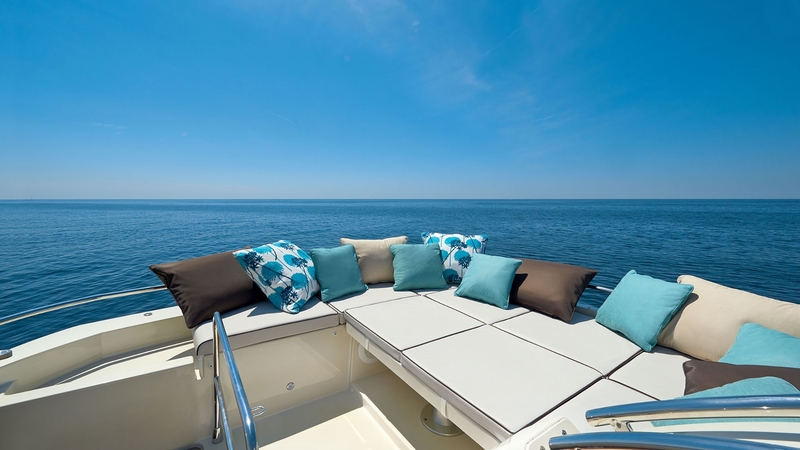 This open area is a sun lover's paradise and is also one of the most unique entertaining spaces you could imagine. 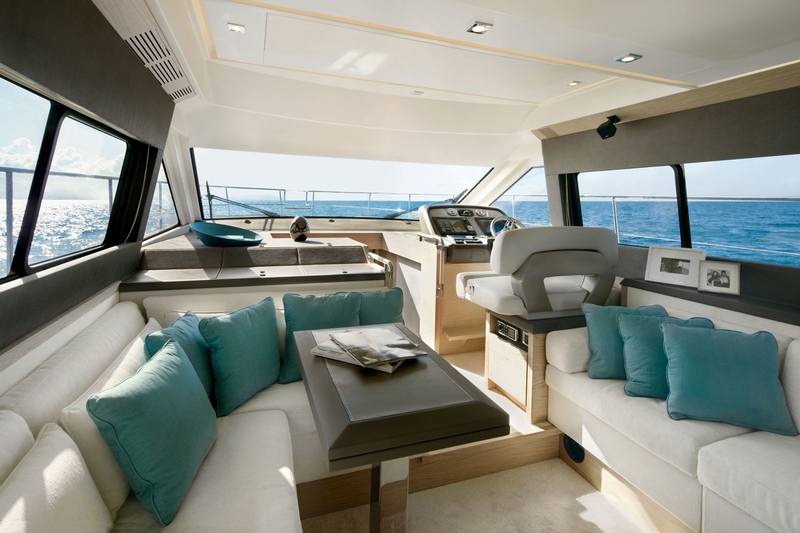 Her main deck is a masterwork of open design and features her salon, a fully-equipped galley, and helm station. 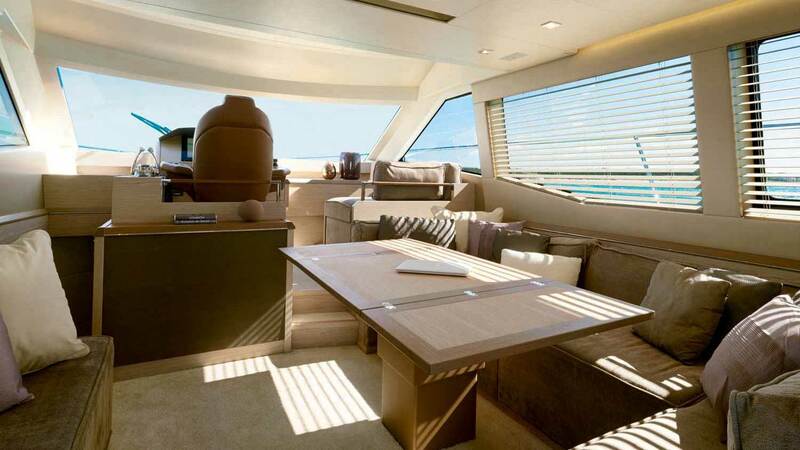 This becomes the perfect area to entertain when the party on the terrace moves inside. 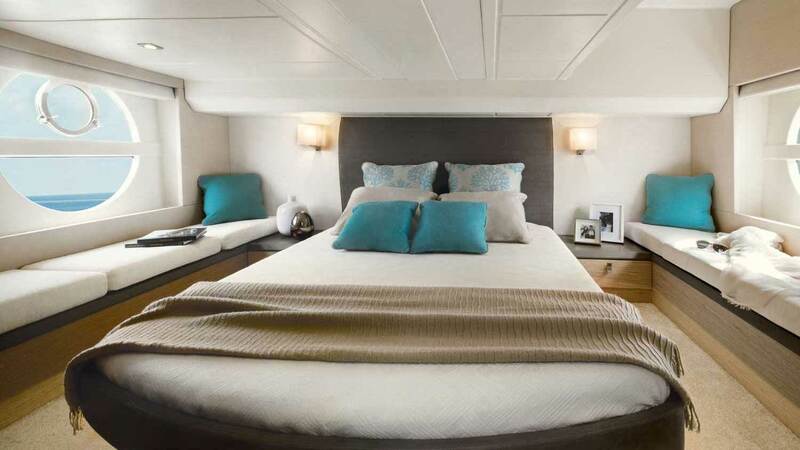 Below deck, three magnificent, impeccably finished cabins, en-suite with shower rooms, offer incredibly elegant accommodations for both owners and guests. 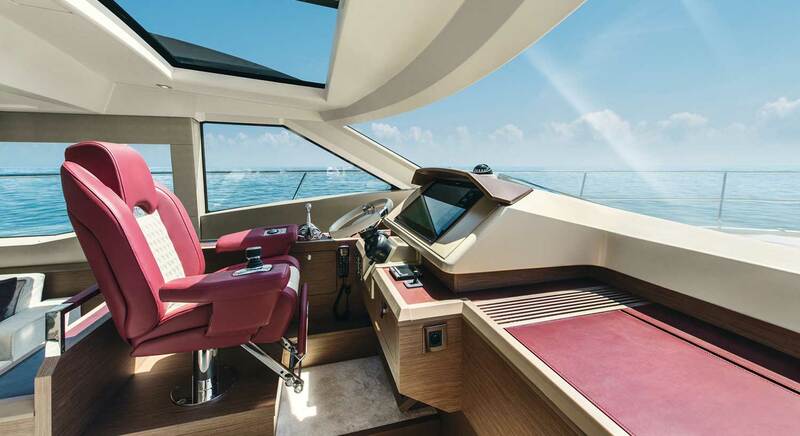 And as you would expect with a yacht of this caliber, there are many options to make the Monte Carlo 6S reflect your own personal style. 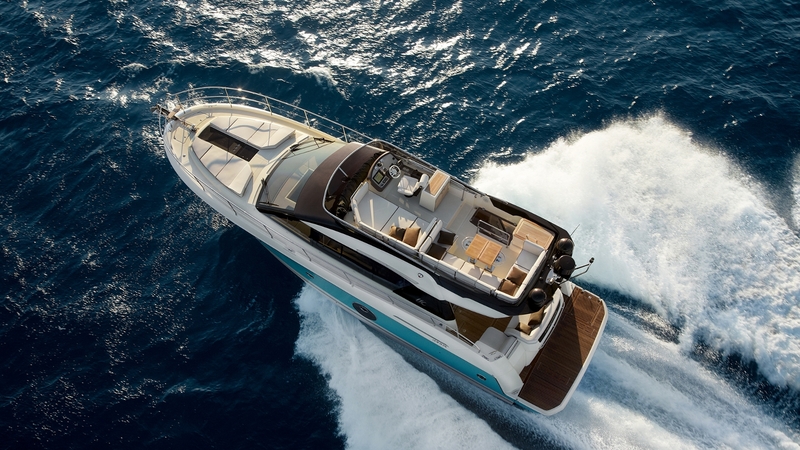 Air draft 6,02 m / 19'8"
A Shot of Sporty for an Icon. 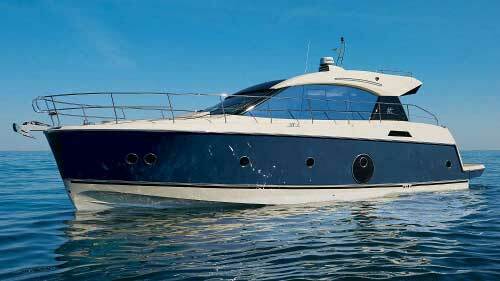 Take the iconic Monte Carlo 5 and give her a sleek hardtop profile, add an extra touch of Italian bravado, an additional dash of sportiness to taste and viola - you have the equally iconic Monte Carlo 5S. 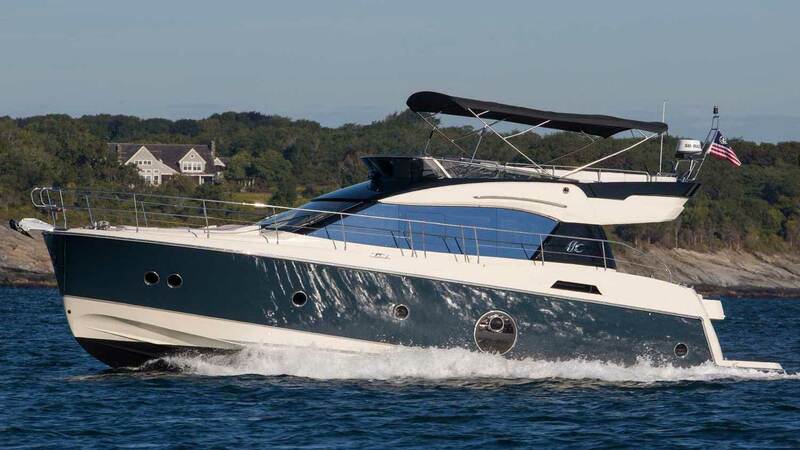 Don’t worry, she boasts the same luxury, power and seakeeping of her flybridged sibling, but she just might turn a few more heads, if that’s possible. 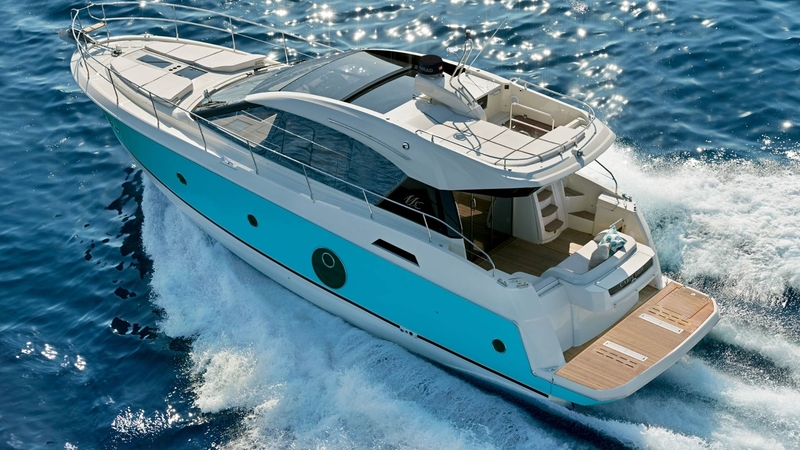 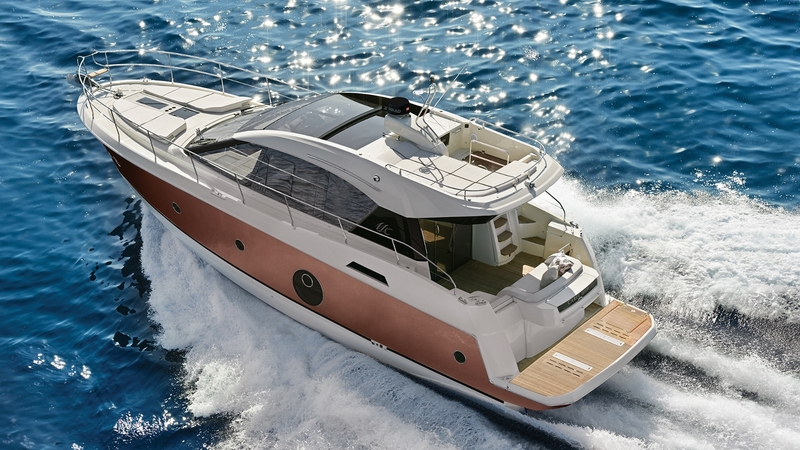 With her slender bow and high-performance hull, the Monte Carlo 5S has more than enough to handle the sea in any of her moods. 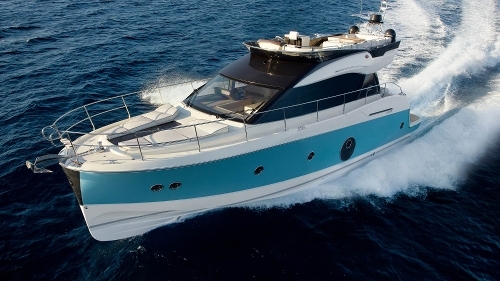 Her twin Volvo IPS 600 engines provide the power, economy and maneuverability to make any cruise a personal best. 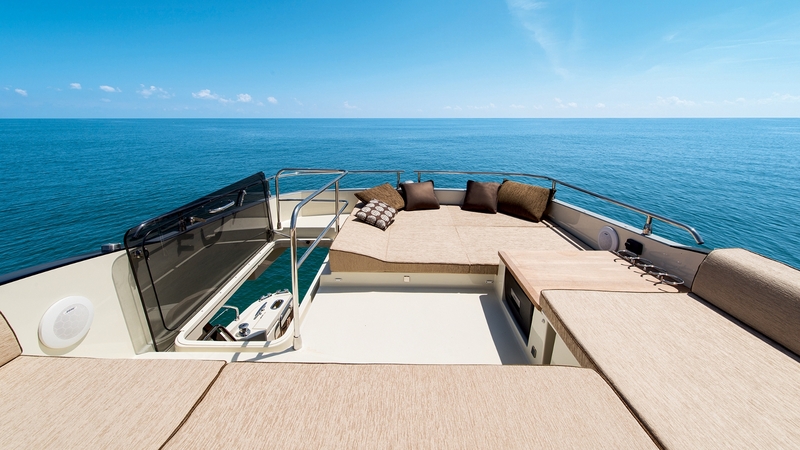 And her unique hardtop lounge is a sunbather’s glory, which she wears like a crown. 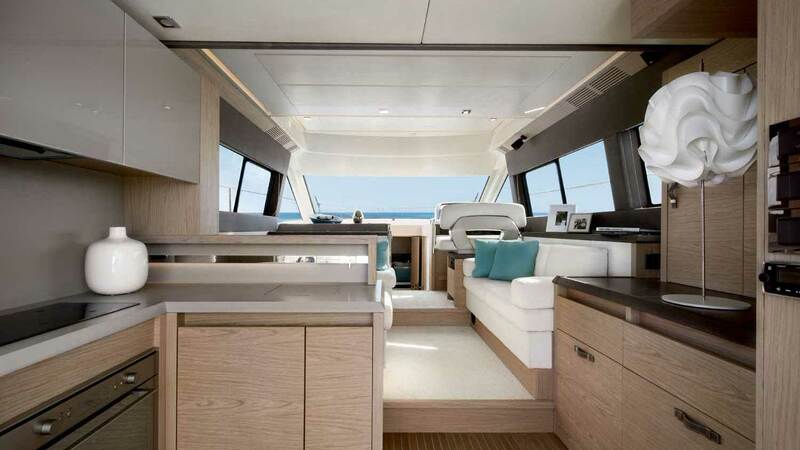 Her main deck features large indoor/outdoor space with a sunroof that opens above the helm station and an L-shaped galley ready to serve hungry family and friends who find their way aboard. 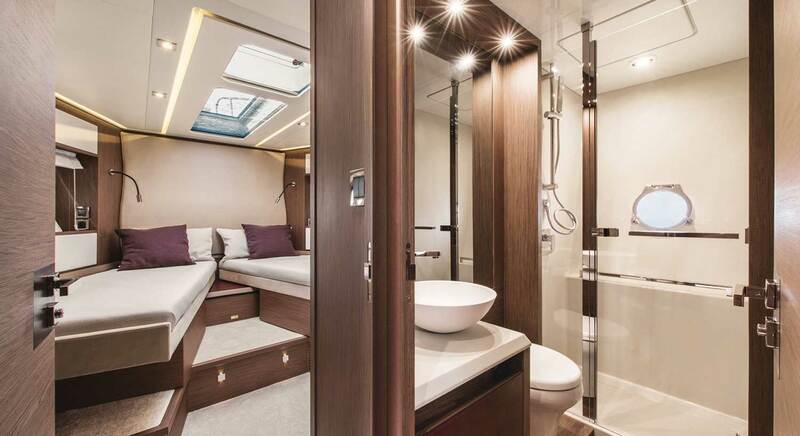 Her lower deck boasts three cabins with en-suite shower rooms trimmed in your choice of light brushed oak or matte walnut. 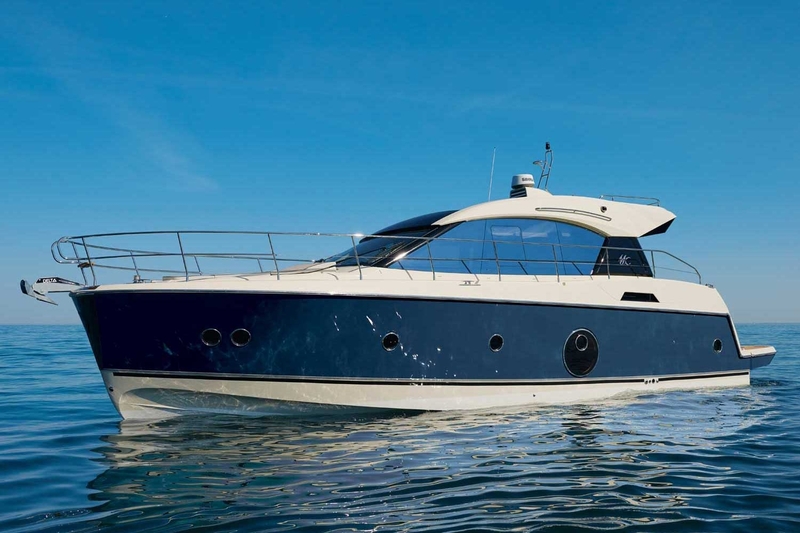 Let the Monte Carlo 5S bring out the best in you. 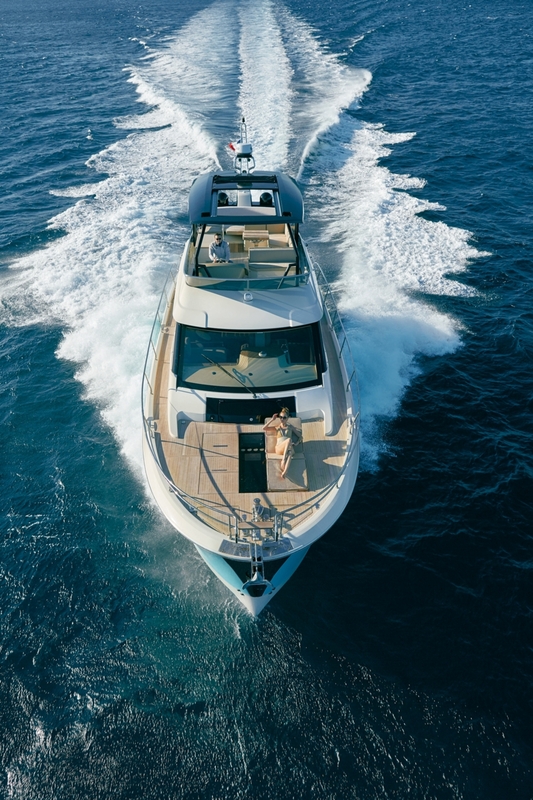 Length overall 15,10 m / 49'6"
Hull length 13,25 m / 43'6"
Air draft 5,45 m / 17'11"
Draft 0,90 - 1,27 m / 2'11" - 4'2"
The Monte Carlo 5 conveys the essence of the Monte Carlo range. She represents uncompromising design, attention to the smallest details and elegant Italian styling. 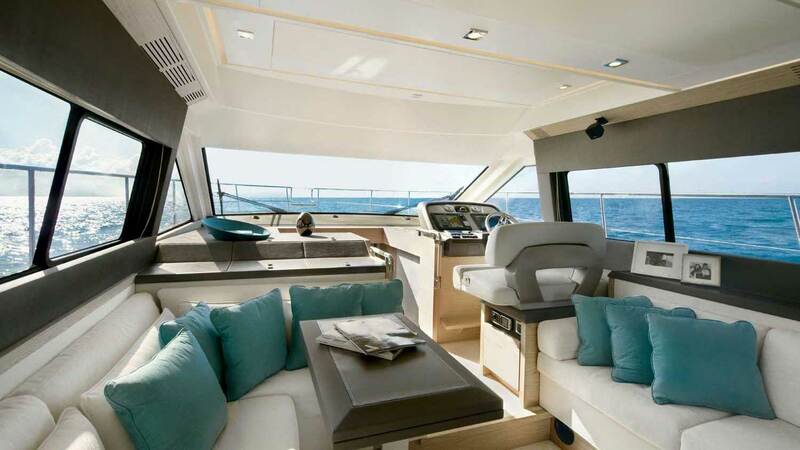 Once aboard, you’ll understand the mythos Monte Carlo has generated in such a short time. 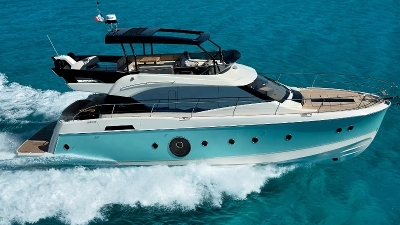 Her classic, yet contemporary lines proudly put her Mediterranean roots on display. 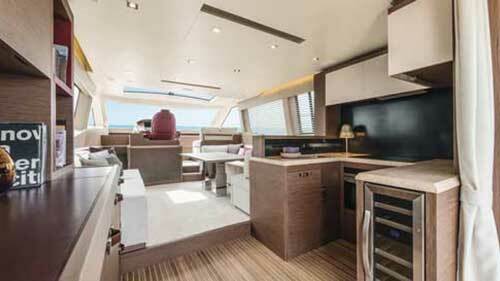 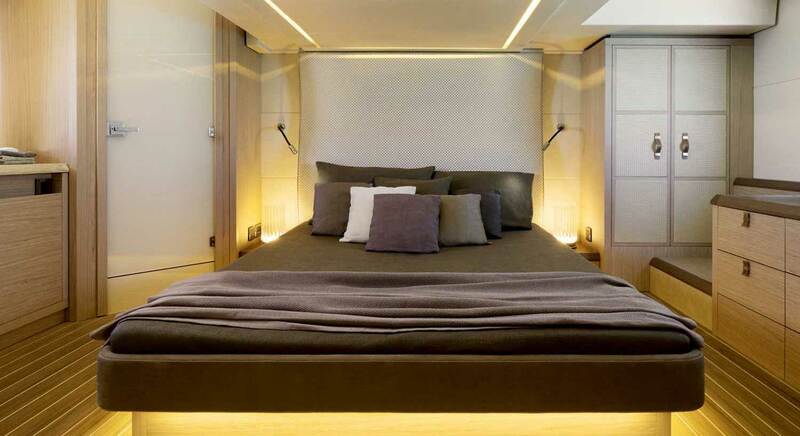 She is crowned with a vast, shaded flybridge that acts as a living space in its own right. 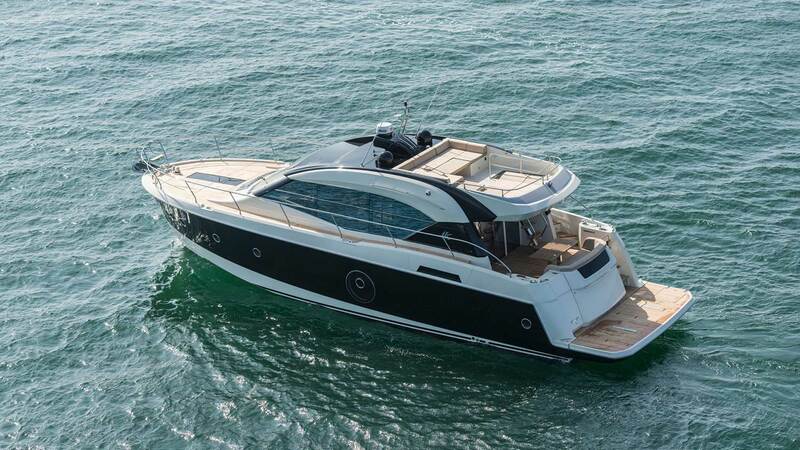 And there is plenty of brawn to match her beauty, thanks to the powerful yet economical Volvo IPS 600 engines. 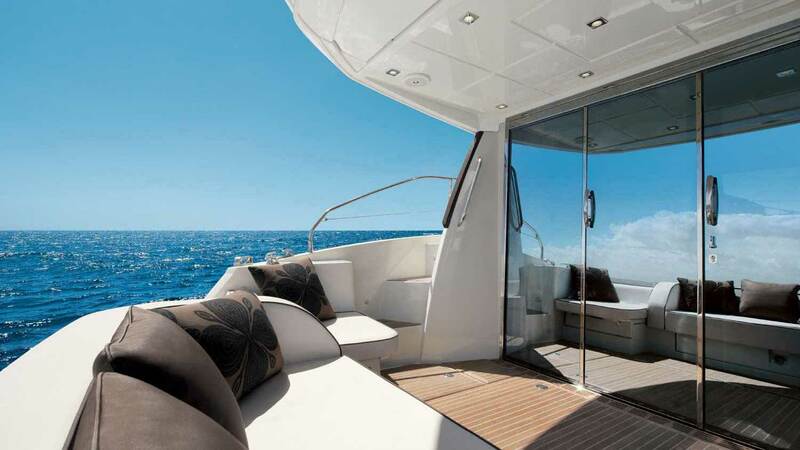 A fully retracting glass door seamlessly connects the cockpit with the salon to create one huge indoor/outdoor living space on demand. 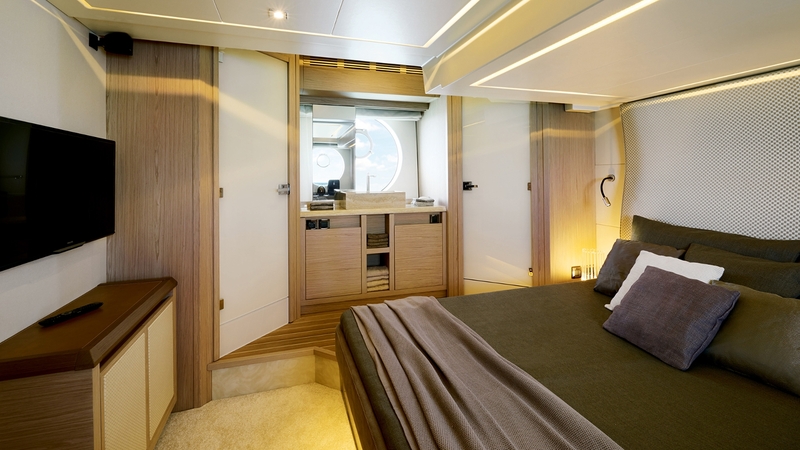 A roomy, L-shaped galley towards the aft of the salon provides a convenient location for meals served outside in the cockpit or at the main dining table. 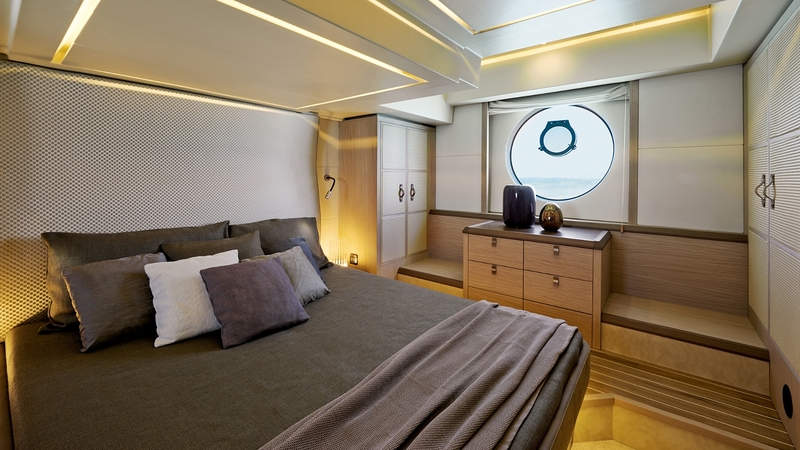 The three luxurious cabins, including the full-beam master suite, and two heads offer the ultimate in quality and comfort. 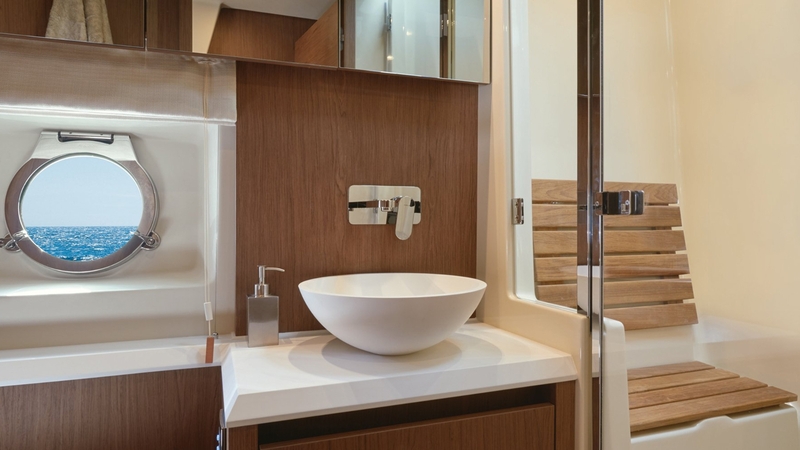 A choice between contemporary brushed light oak or dark matte walnut accents is only one way to make your Monte Carlo 5 truly your own. 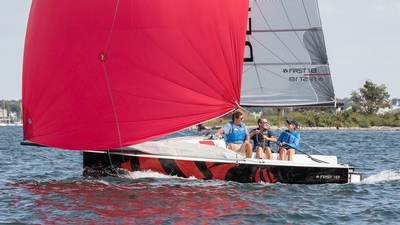 Air draft 5,85 m / 19'2"
I would like more information about one or more of the following. 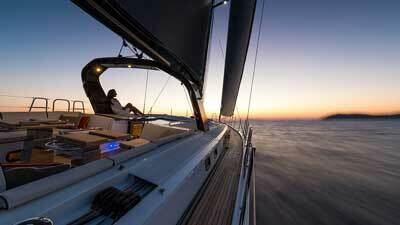 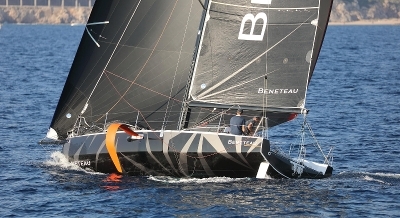 I would like to receive periodic email from Beneteau including the Beneteau Horizons newsletter. 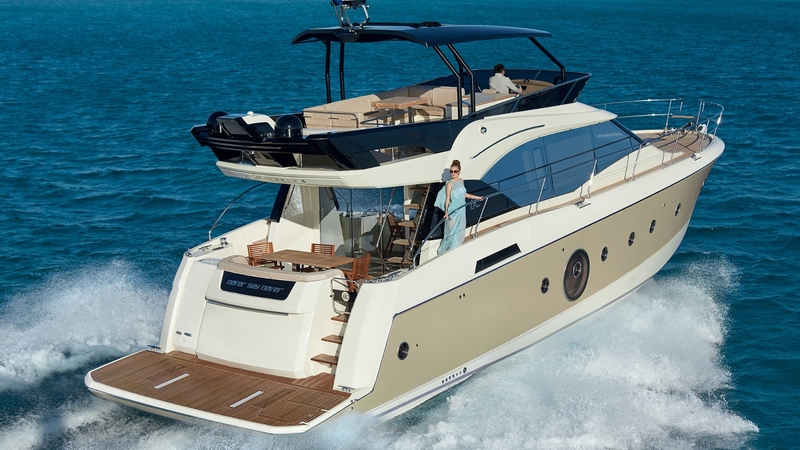 I would like to schedule a tour at a dealer near me. 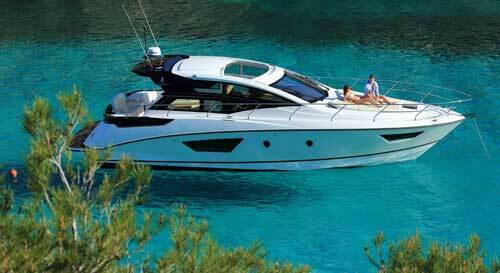 Please mail me a brochure for the Monte Carlo range.